The average Colombian is better off than the average world citizen, a recently published global prosperity index claimed. The index prepared by investment think tank Legatum Institute put together six core principles of prosperity that have been widely discussed in both the academic and policy community, and which we are documented to have a strong relationship with both GDP and individual well-being in a country. The principles are: Opportunity; Education; Health; Freedom; Safety; and Social Values. Other two variables included in the ranking are Economy and Governance. Colombia was ranked 66th overall among all the countries, a result inside the upper middle level, though only 5 positions away from the lower middle tier. Top of the pecking order for the fifth time running is Norway, ahead of Switzerland and rapidly improving New Zealand. At the bottom sits Central African Republic, accompanied by other Sub-Saharan countries. Colombia is the 8th among all Latin American countries, far behind the region’s leaders Uruguay (30th), Chile (33rd) and Costa Rica (34th). Latin American giants Argentina and Brazil are also ahead, lying on 46th and 49th spots respectively. Just before Colombia, comes Mexico (64) which has been steadily falling down the ranks however, regressing by fifteen positions since 2009. In the last 5 editions, Colombia has maintained its position in the 6os of the index, with the best score in 2011 (61) and the worst a year later (69). It is hard to point out to any particular trend in the 5-year period. Characteristically, visible are sharp discrepancies in Colombia’s scores across categories. Colombia’s strongest result comes in the economy category, where it settled on a high 39th position. The economic record of the country is the fifth best result in Latin America. The highest score in the category belongs to Chile (30), but the differences between the leading countries in the region are not vast. The two sub-indexes where Colombia displays relatively positive performance are Opportunity (Entrepreneurship) and Personal Freedom. The first category measures socio-economic factors, such as social mobility and equality of opportunity. 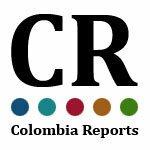 According to the report, Colombia is on the 61st position in that respect. Unsurprisingly, most of Latin American countries rank in the second half of the first hundred of the list. In the Personal Freedom category, accounting for freedom of choice, economic freedom and tolerance, Colombia gets a better 52nd position. It’s undoubtedly the most impressive ‘department’ for all Latin American countries, with Uruguay coming as high as the 8th position in the world. No less than 4 countries from the region qualify for the ‘high scoring’ grade (1-30). In Governance category, reflecting the levels of satisfaction with the power structures, corruption, successful policies etc., Colombia gets a rather average score, settling for the 64th place. Similar is the performance in the Social Capital principle (66), which strives to capture the advancement of social values and intensity of societal interactions. Much worse are Colombia’s results in the remaining three categories. In Health and Education, the country falls into the ‘lower middle’ stratum on 72nd and 84th positions respectively. Most of Latin American countries experience a visible drop in the two sub-lists. Embarrassing is Colombia’s result in the Safety and Security index (127th), which sees it downgraded well into the second hundred and consequentially into the ‘low’ division. Remarkably, in the overall ranking, Colombia’s performance in this category isn’t ‘surpassed’ until Kenya’s result on 109th position! Considering that the index comprises of 142 countries, Colombia’s result in this respect is the 16th worst in the world.